130550139X -What happens when you take two great books and merge them into one? You get the best of both! Griffin/Phillips/Gully combines Griffin’s market leading, content-driven text with Phillips/Gully’s outstanding pedagogical approach based on student assessment, engagement, and digital elements. Together they form an unbeatable team. 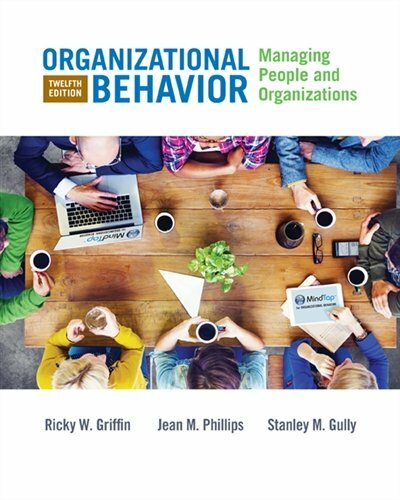 The applied approach of ORGANIZATIONAL BEHAVIOR: MANAGING PEOPLE AND ORGANIZATIONS, 12th Edition, balances classic management ideas with the most recent OB developments and contemporary trends. New cases, end-of-chapter exercises, in-chapter assessments, end-of-chapter video cases, activities, and optional cases and exercises help you equip your students with the assets, tools, and resources to compete effectively amid a world of change and learn how to Think and Act like managers.